Pythagoras once said, “Beans have a soul,” and therefore we shouldn’t eat them. But my grandmother said the opposite — we must eat beans because “everyone who eats beans goes to heaven.” There’s another difference between Pythagoras and my grandmother: numbers for my grandmother had only one task, to count the days between the visits to see her daughters; numbers for Pythagoras meant the world. My grandmother had ten daughters and she would visit them in turn, leaving exactly the same number of days between each visit. If she was late to visit one of her daughters, she would delay the next visit to the other one. When she took me with her, she would sit me on her lap and wrap me up with the edges of her long and wide black robe. I never saw her wearing colors or any other style of clothing. She told me those were her clothes for mourning her daughter (my eldest aunt), and that it would have to accompany her to the grave. Like a baby kangaroo inside her pouch, I would turn my head toward whoever was speaking, and when I got bored, I’d pull the edge of her robe to cover my head with it. She would pull it back, and I’d cover my eyes with my hands. “When are we leaving?” I’d ask her. I couldn’t wait for the bedtime stories she would tell me when we went to sleep on the roof of our house. Every night she told me animal tales with a moral at the end of the story. I wanted to have that book, to read it by myself and look at the pictures, but she would always repeat, “There is no book. These are stories we pass down from generation to generation.” I would fall asleep to her voice, and the animals would come, sometimes in different roles — the ant might leave behind her grains that she should have stored for winter, and hang out with the grasshopper in the fields instead. In the morning I would be awoken by flies and the blaring sun; I would go downstairs to write the stories down in my notebook and draw them however I wished. At times my grandmother talked to herself, in some kind of soliloquy, as if she were praying, repeating the same prayer over and over, something like those Sufi circles when they whirl and whirl until they give the bystanders a headache. I followed her gaze, and I saw a sparrow sitting on a branch. Was she talking to the bird or to God? Suddenly she noticed me there next to her, and she talked to me about the houses in our neighborhood, but she switched the names of our neighbors with people from her old village. She put her clothes in a bundle, saying she was going to her parents’ house. One time, she sleepwalked and almost fell off the roof of our house. My mother ran over and pulled her back at the last minute. After that incident, we stopped sleeping on the roof. Anyway, the war started around that time and most Iraqis stopped sleeping on their roofs as well — suddenly, sleeping without a ceiling seemed unsafe. The sky above seemed barren and blemished, now that it was dotted with missiles and airplanes that sometimes dropped spent bullets onto our roof. We would find the cartridges when we went up to hang our laundry. After all, our parents didn’t allow us to count the stars on our fingers because those stars we counted would appear in the morning on our fingers as boils. Who knew what would happen if we counted those bullet cartridges, or if we went beyond that and dared to count the bones in the mass graves. War for my grandmother was always “the world war.” I wasn’t sure whether she meant World War One or World War Two. She wouldn’t specify, and even though those two wars didn’t take place in Iraq, my grandmother knew a lot about them. The first took place early in her life, the second happened in the middle. But this new, local one, which happened late in her life, seemed to abolish the divisions of time in her memory, so that the events and the details got mixed up. Her speeches about food shortages, in which “people eat each other even as they extended their hands to help one another,” was straight out of World War One. 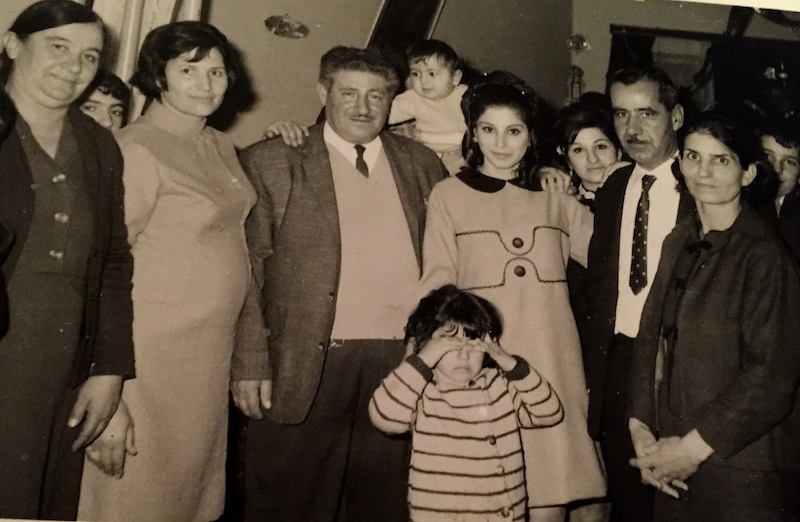 But after the second Iranian bombardment, she would ask about her friend Salima, saying that she left her house empty-handed — and that’s from World War Two. I tried to arrive at an understanding of what she meant, as if I were holding onto the line of a kite being pushed farther and farther in another direction by the wind. My kite finally settled down on a tree branch, on a meaning: war comes with various names but with only one face. “Who made her go?” I asked. “I don’t know, the merciless ones,” she replied. their dreams inscribed on clay tablets. They drew palms, dates ripened before their sorrows. a wheel spinning faster than the Earth. left over for the birds. and more ships . . .
and on the Euphrates corpse-lilies floating. Every minute a new hole in the hull of the ship. 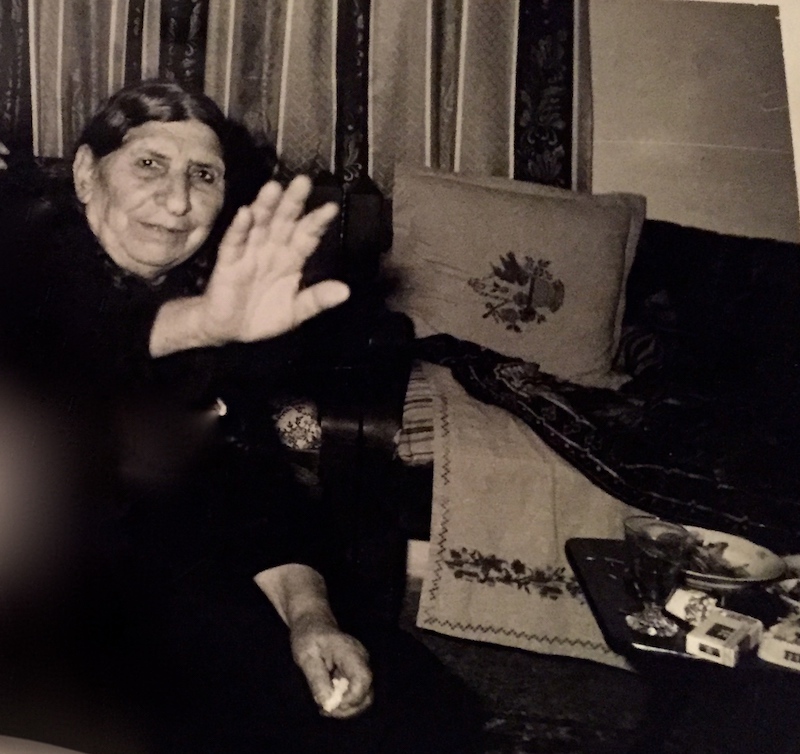 The “bundle” that my grandmother left behind in her room on the first floor of our house contained a wooden comb, a hand fan, and Turkish coffee cups that were mementos from her friend Salima. What the dead leave behind is a personal archaeology. There’s some history in that, a memory of an absence that lasts longer than a day and a night, an absence that lasts many days and nights, days and nights. Their fingerprints on the doorknobs, their fingerprints on those little things like a watch that can tell you the time but can’t tell you when her time was up, when her heart stopped — what time it was when it didn’t matter anymore what time it was. Is that why they exhibit personal effects in museums? Isn’t it an attempt to give form to sorrow, so that the viewer can take comfort in her submission to the form rather than having to think about the actions that led to it? We attend to the traces of life because we want to participate in that life — and to see a trace of ourselves in it — don’t we? My grandmother.In the September 11 Memorial and Museum in New York, for example, there’s an unbearable exhibition of slices of life, broken in the middle of their flow, a warehouse of disappearance that is deafeningly silent. The pictures of people in one album are just a part of an infinite number, if we think of the endless stories behind each picture. On the shelves of souvenirs in the gift shop, one can buy the past — the past in fragments. Among the artifacts that were scattered from the two towers: a card of new year wishes, keys, individual shoes, a tissue box, cell phones, construction project drafts, photos of loved ones, business cards, wallets, a hat, a ring, a bag, an empty envelope that used to contain a message, we don’t know what or for whom, airplane debris, and a rake that was used to search for human remains. In the year after the fall of the two towers, a marble statue of Adam fell to the floor of the Metropolitan Museum in New York; it fell for no reason, and smashed into hundreds of pieces. A team of specialists worked for a decade on the broken Adam — six feet, three inches of him, carved during the Renaissance by Tullio Lombardo — until they were able to restore it and get him back up on his feet again. Several months after Adam’s resurrection, a group from Daesh destroyed several monuments in Mosul and Nimrod in northern Iraq. I saw the stones being ripped apart from one another after having been connected for thousands of years. After the first minute of this video made by Daesh, I said to myself, “Maybe we can restore these statues as well.” But in the next minute, the terrorist took out a hammer and started smashing the pieces into smaller and smaller fragments. My hope, similarly, was becoming smaller. I nearly lost my temper — I wanted to break my plate over the head of that Daeshi as he was going after every last piece, crashing loudly as they fell onto the floor. But I didn’t scream and neither did the statues. Their brokenness was hidden under layers of stone and history, just as our brokenness is hidden under our skin. “Let the statues be sacrificed for the people. We don’t care about them anymore. Our people are being killed in front of our very eyes,” someone commented on Facebook. “But they’re eliminating our monuments, erasing them from existence. They destroyed our houses and now they’re destroying our historical houses,” another Iraqi replied. Born in Iraq in 1965, Dunya Mikhail worked as a journalist for the Baghdad Observer. Facing increasing threats from the Iraqi authorities, she fled first to Jordan, then to the United States. In 2001, she was awarded the UN Human Rights Award for Freedom of Writing. Mikhail’s translator Elizabeth Winslow won a 2004 Pen Translation Fund Award for her first book in English, The War Works Hard (2005), which was shortlisted for the Griffin Prize and was named one of the 25 books to remember by the New York Public Library in 2005. Her Diary of A Wave Outside the Sea (2009) won the 2010 Arab American Book Award for poetry. She currently lives in Michigan and works as an Arabic instructor for Michigan State University. Dunya Mikhail will be in conversation with Xiaolu Guo, Hossein M Abkenar, and Dinaw Mengestu at the Pen World Voices Festival on Friday, 4/20. Tickets are available now. 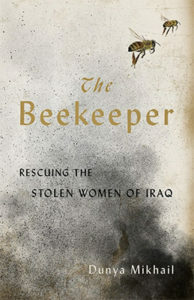 From The Beekeper: Rescuing the Stolen Women of Iraq. Used with permission of New Directions. Copyright © 2018 by Dunya Mikhail. Translation copyright © 2018 by Max Weiss Dunya Mikhail.